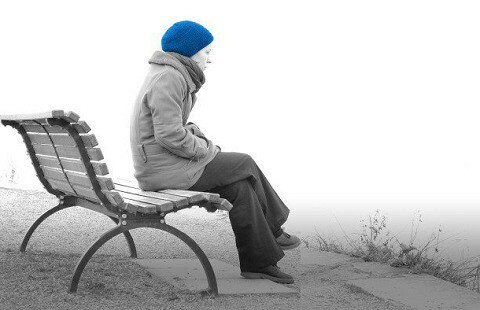 Seasonal Affective Disorder (SAD) is a form of depression. Most people tend to slow down a little in the winter and experience some form of “winter blues”, but full-blown SAD can be extremely disabling. SAD is often the result of the winter season when the days are shorter. People tend to sleep more, become sedentary, crave carbohydrates, gain weight, and avoid social interaction. Psychologically, they are depressed. Attaining a balance of yin-yang or light and dark is innate in the Chinese Medicine and Feng Shui philosophies. Although we cannot see the electromagnetic frequencies of the earth or planets, it is important for us to live in an environment that allows us to be synchronized with these forces. Many sufferers are often unable to function without continuous treatment. Depending on the person and the geographical location, the depression can last for several months with symptoms such as overeating with carbohydrate craving and weight gain, sleeping more than usual, fatigue, and social withdrawal. It is the long duration of the symptoms that distinguish SAD from the so-called holiday blues. It is not known why some people (those between 18 and 30) are more likely to suffer from Seasonal Affective Disorder and why it seems to affect women more than men … unless the statistics are based on the fact that women are more ready to admit to depression and ask for help than men. There are several alternative therapies for treating seasonal depression. One, which has been used with remarkable success is Light Therapy. Light and color have been valued throughout history as sources of healing. Today, the therapeutic applications of light and color are being investigated in major hospitals and research centers worldwide. Results indicate that full-spectrum, ultraviolet, colored, and laser light can have therapeutic value for a range of conditions from chronic pain and depression to immune disorders. The oldest form of light therapy is natural sunlight, which is the ultimate source of full-spectrum light. For those living in areas that see very little sunlight this time of year, there are other options; full-spectrum light therapy, bright light therapy, various forms of UV light therapy, syntonic optometry, cold laser therapy, and visual color therapy. For treating SAD, white light therapy is often preferred over the full-spectrum light because the additional UV light found in full-spectrum light is not necessary to achieve the antidepressant effect of the therapy, and can be harmful to the eyes. Different wavelengths stimulate different aspects of our physiology, all playing a vital role in our functioning. We especially need natural light with its subtle variations that act on our well-being. The rhythm of dark and light from day and night and the full-spectrum of light is essential to our circadian rhythms (biological clock), endocrine, immune, sexual and nervous systems. Depression may be the result of inadequate or improper nourishment. If the brain is not receiving sufficient fuel, it will not function properly. Vitamin B deficiency is often a physical cause of depression. The best approach to combating depression is to eat more wholefoods, give up sugar, tea, coffee, alcohol. L-Tyrosine is essential for alleviating stress by boosting production of adrenaline. It also raises dopamine levels which influence moods. (Do not take if you are taking an MAO inhibitor drug.) It should be taken on an empty stomach with 50 mgs Vitamin B6 and 100-500 mgs of Vitamin C for better absorption. Best taken at bedtime. 5HTP is often used in the place of SSRI drugs and L-Tryptophan and may help in serotonin deficiency related conditions such as severe depression, epilepsy, anxiety, insomnia, weight loss and addiction. Also studied for PMS, migraine and chronic tension headaches. 5-HTP is only used in serotonin production. 5- hydroxytryptophan is also able to pass through the blood-brain barrier easily, unlike tryptophan, which can only pass through the barrier by using the same transport molecule that carries leucine, isoleucine, and valine. Increase your intake of vitamin B complex, 100 mgs 3 times daily Plus extra Vitamin B 5, 500 mgs daily, the most potent anti-stress vitamin. Vitamin C, 2,000-10,000 mgs daily in divided doses. Increasing your Potassium 80 mgs, Calcium 1,500-2,000 mgs daily and Magnesium 1,000 mgs daily is helpful. Low doses of Melatonin seem to help many people by regulating balance in the body. Try using half the recommended dose for the first 3-4 days and monitor your results. Meditating: Quieting your mind for 10-15 minutes is a wonderful release. Aromatherapy is very effective. Jasmine and Bergamot oils are uplifting and refreshing, while lavender is calming and relaxing. Put a little on your wrists, or a piece of cloth you can carry with you. In a pan of hot water drop about 6-8 drops of oil to diffuse it into the air, or perhaps you have your own diffuser. I always like to stress one other factor, which plays a major role in our mind-body connection. That is our belief system. It often is what you believe it to be. Your Belief System is an important part in healing. Allow yourself, change, time off, a different path. Seek what it is that is at the root of your dis-ease or comfort level. Address it. Believe that you can do that. MOVE!!!! Exercise also plays a MAJOR role in the treatment of depression. Exercise is very helpful in depression because it stimulates circulation and releases serotonins in the brain, the hormones that encourage contentment and an all around feeling of happiness. It not only keep the body physically and mentally fit but also provides recreation and mental relaxation. It is nature’s best tranquilizer. Exercise produces chemical and psychological changes that improves your mental health. It changes the levels of hormones in blood and may elevate your beta-endorphins (mood-affecting brain chemicals). Exercise may also improve the function of the autonomic nervous system. Exercise also gives a feeling of accomplishment and thus reduces the sense of helplessness. Some form of active exercise, must be undertaken each day at a regular hour. To be really useful, exercise should be done in such a manner as to bring into action all the muscles of the body in a natural way. Walking is one such exercise. It is , however, so gentle that one must walk several miles in a brisk manner to constitute a fair amount of exercise. Aerobics (low impact) is even better, for it increases cardiovascular health and wipes out the focus of depression and makes you feel wonderful! 3-5 days a week at 30 -40 minutes should be your goal. The depressive mood can be OVERCOME by activity. Those who are depressive will forget their misery by doing something. They should turn away from themselves and consider others. At home they can take to decorating, repairing or constructing something new. The pleasure of achievement overcomes the distress of misery. Stop making excuses! Water is essential in any healing process. 6-8 eight ounces glasses per day. Diet has a “profound effect” on the mental health of a person. Even a single nutritional deficiency can cause depression in susceptible people. Nutritional therapy can be used to build up brain chemicals, such as serotonin and norepinephrine, that affect mood and are often lacking in depressed people. Eat foods rich in B vitamins, such as whole grains, green vegetables, eggs and fish. The diet of people suffering from depression should completely exclude tea, coffee, alcohol, chocolate and cola, all white flour products, sugar, food colorings, chemical additives, white rice and strong condiments. The diet should be restricted to three meals. Fruits can be taken in the morning for breakfast with milk and a handful of nuts and seeds. Lunch may consist of steamed vegetables, whole wheat bread and a glass of butter-milk. For dinner, green vegetable salad and all available sprouts such as alfalfa seeds, cottage cheese or a glass of butter-milk would be ideal. This is one example. Do what is right for you! DO NOT over eat. Consider the Full Spectrum Diet. Crystal Therapy is a wonderful adjunct therapy for Seasonal Affective Disorders. 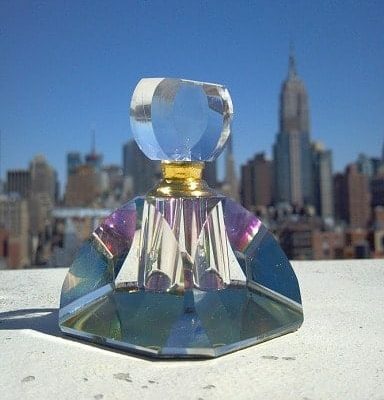 Placing a crystal in your bedroom, kitchen, living room or work place is beneficial. Also, carrying the crystal in your pocket or handbag, or worn as jewelry often offers subtle but very effective results. Meditating with the crystal in the palm of your hands or sitting in front of you is another use for crystals with this disorder. A refreshing bath with the crystal in your bath water or placing the crystal on the appropriate Chakra region (often the Heart or Solar Plexus Chakra) can be very beneficial. Meditating, Chakra work and Hydrotherapy with crystals should utilize about 20 minutes (or more if it ‘feels appropriate’) of your time in order to reap the benefits. Considered the merchant stone, citrine is very versatile and is used for mental and emotional clarity, problem solving, memory issues,will power, optimism, confidence and self-discipline. It reduces anxiety,fear and depression. An energizing and highly beneficial crystal, citrine absorbs, transmutes, grounds and dissolves negative energy, which makes it a very protective stone. Citrine crystals are invigorating and positive. Excellent all-purpose, high level gem amplifier and electrical conductor, especially on Solar plexus and Heart Chakra. Strengthens meridians, nerve system, digestion. Positively charged with warming sun energy. Often worn by teachers/healers, especially after much self-healing (addictions, childhood…) Attracts prosperity, stores, amplifies thoughts/emotions/energy (Greed too). Yang. Pink = Gold + copper. Love, warmth, and spirituality. A fossilized, organic matter used as a healing stone. A form of petrified wood similar to coal, though much harder. Has absorbing qualities. Helps draw out negative energy. Especially useful for people who have unreasonable fears that limit their lives. Helps control mood swings and fights deep depression. Recommended for stimulating psychic experience and guiding one in the quest for spiritual enlightenment. If worn, it should be set in silver. Feldspar (contains aluminum). Translucent with white, pink, yellow, soft sheen. Honors the Goddess in all women, Dieting, Gardening, Psychic Awareness, Meditation. Soothes stress, anxiety, women’s hormones/menstrual imbalance, lymph. Enhances intuitive sensitivity via feelings and less overwhelmed by personal feelings. Greater flexibility and flow with life. Connects 2nd and 6th Chakra and Pineal for emotional balance, gracefulness. Helps all be more comfortable with our gentler feminine/yin receiving side. Especially for water signs. Used for protection against the perils of travel. Help cool, soothe, and calm over- reactions to emotional and personal situations. Probably the most versatile multipurpose healing stone. Can both draw and send energy. Powerful clear ones open Brow, Crown, and Transpersonal Chakra for meditation, sending/receiving and guidance. 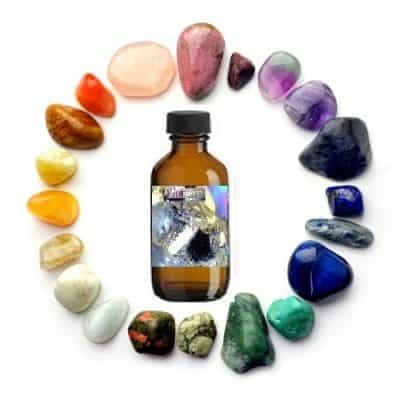 Stimulates natural crystals in body tissues and fluids to resonate at new healing frequency. Works with all chakras and master gland for balancing, cleansing and healing. Used to amplify both body energy and thought. Natural tendency for Quartz is for harmony and is considered the “stone of power”. Quartz can be used to facilitate both speaking and receiving information from the spiritual world, masters, teachers and healers. Stimulates positive thought and healing. 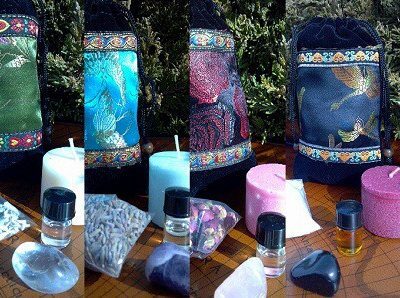 Consider our “Happiness” crystal pouch and our “Happiness” supplement pack!